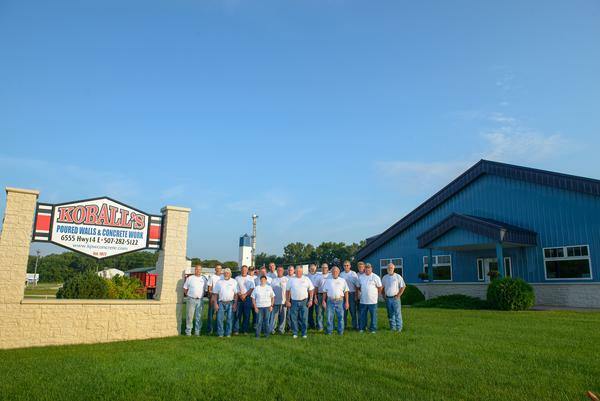 Started by Randy Koball in 1977, Randy and his team quickly became known for their high standards of quality and KPW quickly rised to be a leader in concrete services for the Southern Minnesota region. 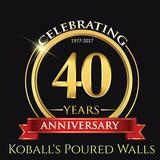 Koball's Poured Walls has been an indispensable part of the development of greater Rochester, with thousands of homes sitting on KPW foundations and with KPW drive-ways, basements, etc. In addition, hundreds of commercial buildings rest on Koball's Poured Walls and are comprised of KPW Flatwork. Koball's Poured Walls has also been involved in many high-profile developments over 40 years, including the construction of the Mayo Clinic Gonda building. The collective concrete experience of the KPW team is over 350 years. Owner Randy Koball still works full-time in the business, rarely taking a vacation. You will see him working alongside his beloved team or checking jobs to uphold the standard of quality that KPW has become known for. KPW has maintained top-tier customer satisfaction ratings over 40 years with organizations such as BBB.